The fact that they have presided over so much of Singapore for so long without any evidence of corruption is both impressive—but also corrosive, I believe, because it has lulled Singaporeans into a false sense of security, a rose-tinted view of man’s nature. 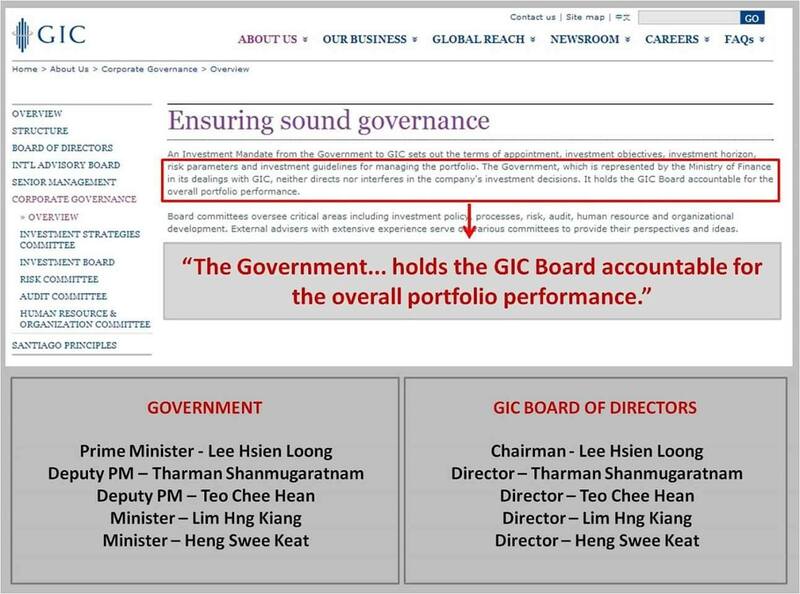 That obvious conflicts of interest within this trio—for instance, Lee Hsien Loong as finance minister and Ho Ching as Temasek boss—did not necessarily lead to cronyism or nepotism, and did not significantly affect Singapore’s overall performance should be interpreted by voters as divine providence; not a presumed logical outcome. Given the history of the world, if ever again Singapore is controlled so extensively by one family—PAP, opposition, whoever—voters should regard the situation with deep skepticism. With all that in mind, let me just scratch the surface of Singapore’s power families. Ho Ching’s sister is a senior civil servant. Ho Ching’s brother is a GLC executive. Josephine Teo’s husband is CEO of a government agency. Tin Pei Ling’s husband is a perm sec and former secretary to Lee Hsien Loong. Lee Kuan Yew has two interesting distant cousins. First Tony Tan, the president. Second, Teo Chee Hean, around whom a complex web exists. Teo Chee Hean’s father and grandfather were OCBC honchos. Teo Chee Hean’s wife is an NTUC executive. Teo Chee Hean’s son is an Admin Service Officer. Finally, Teo Chee Hean’s teammate in Pasir Ris is Ng Chee Meng. Who is Ng Chee Meng? 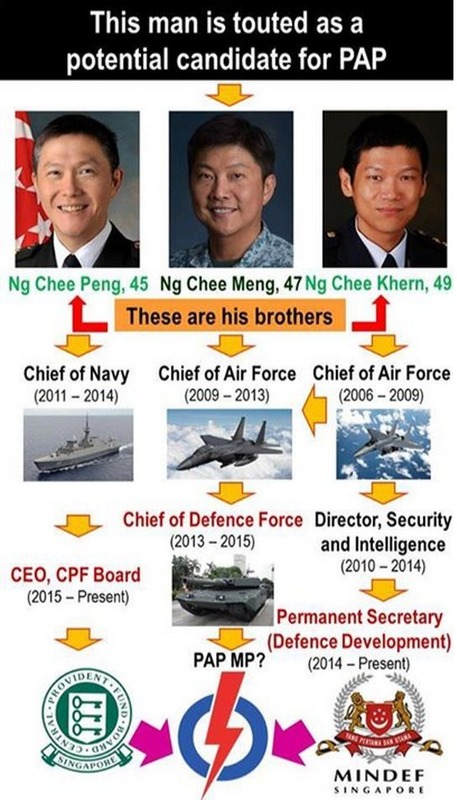 Well, he’s the brother of Ng Chee Peng, CEO of CPF and Ng Chee Khern, PermSec at MINDEF (click for a bigger image). This trio rattles my nerves. Imagine if there is a problem at CPF. I’m not suggesting there is. After all, we know that CPF is a transparent, competent organisation that provides adequately for our retirement. But what if there is a problem at CPF? Do you think Ng Chee Meng of the PAP is going to defend the people’s interests by questioning Ng Chee Peng his brother? Maybe he will, but it is an extraordinary thing to ask of any human being. I know I’ve engaged in a lot of wanton name dropping. In fact, there are so many more family connections everywhere, even before considering the multiple overlapping directorships these people hold in each other’s GLCs and organisations. But I must be fair and include all the main ethnic groups. So please do bear with me. Minister Yaacob Ibrahim’s sister Zuraidah was deputy editor at Straits Times. So when Yaacob says he wants Singaporeans to “read the right things”, what he means is: get off the Internet and go read my sister’s newspaper. Former President SR Nathan? Yes, his daughter was recently appointed the first CEO of our Supreme Court. So now you know: we Indians can do more than drink. I must reiterate that I am not suggesting that there is any nepotism in these appointments. But even if all these people rose to their positions through merit, however it is defined, this nexus of family power—politics, civil service, business, media, judiciary—is bad for our country. There are so many conflicts of interest. The below image really speaks for itself (click for a bigger image; obviously, only partial listings of personnel on both sides). Government critics say the PAP and its cronies are out to screw us with these networks. I don’t believe that. The crux of the issue, for me, is that the establishment believes so strongly in this concept of merit that they have become blind to conflicts of interest. Consider Lee Bee Wah, Nee Soon MP, who is also a construction boss. Her company won a tender for a residential construction project in the very same district where she is MP. A month ago, she defended herself in parliament, citing fairness and merit, and that was that. End of story. Then we have the Brompton Bicycle Scandal. How many other public tenders have been given to friends and family? The Auditor-General’s report on Gardens by the Bay raises serious questions, as yet unanswered. Incredibly, one consultant commenced work on a $2.37m contract even before a tender was called. “By doing so, NParks had prematurely communicated to the consultant that it had intended to award the contract to the consultant,” says the AG. For another 43 contracts, only a single quote was received. Gardens by the Bay cost the taxpayer more than S$1bn. Anecdotal evidence suggests that the taxpayer deserves a thorough investigation into possible cronyism. But the revelations that really shocked me were in July last year, when the Auditor-General found that MINDEF had mismanaged land for twenty years. First, MINDEF had allowed Sembawang Country Club to license state land for twenty years, even though the limit should have been three. Note that all of Sembawang Country Club’s office holders are senior army officers. In other words, as Singapore’s property bubble was heating up, our war-weary generals were thwacking balls on land heavily subsidised by the taxpayer, without sufficient accountability or oversight from MINDEF. Second, MINDEF was found to be renting out a piece of land to an unnamed contractor for $45 a year. The contractor has been using the land for commercial activities since 2000. The new agreement sets the rent at $830,000. If we take a rough, average fair annual rental of S$700,045, this means over that 14-year period the Singapore taxpayer was deprived of almost S$10m. Who is this contractor? Why was nobody prosecuted? And, perhaps most importantly, why do voters find out about lapses like this only twenty years after they occur? All Singaporeans have been extremely complacent about this nexus of power. We have allowed it to ferment, to encompass Singapore. Maybe this system was necessary in 1965, when we had fewer Singaporeans to govern. But today? I don’t subscribe to the theory that there aren’t enough good people in Singapore. First the PAP says that we have the world’s best education system—but then at the end of the day it says there isn’t enough talent. 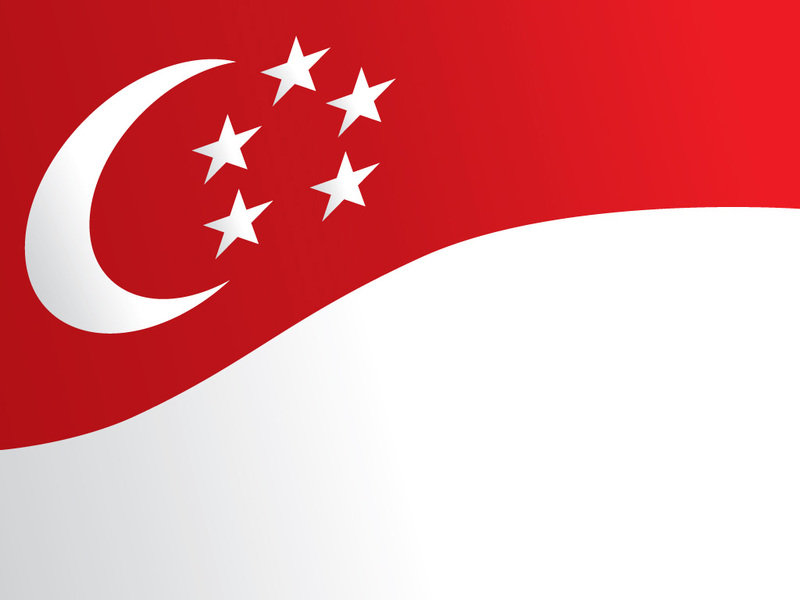 Singapore has roughly the same population as Denmark, Finland and Norway. We have enough good people. It’s just that the PAP does not allow them to break into this closed circle of elite schools, elite civil service and elite politics—of the natural aristocrats. Human nature is flawed. Singaporeans can never assume that civil servants and politicians will always be of the same moral fibre as our first generation leaders. Consider also that Lee Hsien Loong is politically weaker than his father, and nowhere near as feared. I doubt people below worry as much as they used to about the possible consequences of any immoral activity. Singaporeans need to address this nexus before it is too late. This is Part 2 of 4. To read Part 3, click here. Corrections: An earlier version of this article had incorrectly listed Zuraidah as “senior editor” at Straits Times, rather than “deputy editor”. Sorry. Isn’t it interesting that Zuraidah Ibrahim’s husband is Cherian George? Very! There are more connections in the family, but in the end I just had to pick and choose. The point about self-censorship with writers, myself included, is that we never know the counter-factual. Might Cherian and Zuraidah been harder hitting had she not been related to a government minister? Nobody, really, will be able to answer that. Great piece. Just to note though: You’re lucky the old fogey is dead. Otherwise even with all your repeated disclaimers, you’d still be sued for this piece. If they can go this far, I am sure they will go far in other places or institutions where their relatives do not have a stake or hold influential positions. Will it’ll sit better with you if their relatives were humble blue collar workers? What kind of jobs will you look for if you were in their situation? Decisively avoid ALL civil service jobs, good positions, choose the worst school for your children, tell them not to do well in the exams? Your article lacks depth. I totally agree with the writers article.. The Singaporeans will only have themselves to blame as we veer the road to a become a one party state.!! Everywhere I hear people combining if the high cost of living, the high property prices, the Cos system which is a kind of double tax just to buy a car! ,, the high pay of the ministers, and the government officials, high petrol prices, etc etc. Yet when it came to the actual voting. The ‘kiasu Singaporeans decided to vote for the incumbent!!! It is a sad day for Singapore. We have prostituted ourselves for immediate benefits. e. g. THE pioneer generation benefits for the old, the monetary subsidiaries for the younger voters when they buy H D B flats etc etc !! All these are from the taxpayers monies!!!! Excellent observations and well written, Kudos to Thomas Vadaketh. A Nobel prize winning piece of literature. Are such networks absent in other developed democracies? I thought these are fairly common. The Bushes, Kennedys, Clintons etc. Kenneth Jeyaretnam carrying on the torch from his father. In addition, I’m not sure what you’re suggesting we do about it? To take the three Ng brothers as an example, they were all government scholars to a greater or lesser degree, and those who worked with and under them can attest that they are all highly driven individuals. You claim that the PAP “does not allow” talented people to join the elite, but to my knowledge the Ng brothers come from a middle class background. Should we set a quota on how many scholarships can be given per family regardless of their ability? Or perhaps take a page from the Imperial Chinese playbook and demand that they be scattered into different places and ministries or have a quota set on how many can join public service regardless of motivation and inclination? This is not to say that the issues flagged by the Auditor General are not serious and they should certainly be thoroughly investigated for wrongdoing.